Gov. Michael J. Dunleavy introduced legislation today to make good on his campaign promise of returning the money from the dividends that were vetoed or reduced in the last three years. But if you were banking on a supersized $6,700 dividend—the combination of those back payments and the $3,000 dividend envisioned in Dunleavy’s budget—to arrive this year, then you’ll be out of luck. Dunleavy’s proposal—outlined in Senate Bill 23 and Senate Bill 24—would stretch out the repayment of dividends over the next three years of dividends: A $1,061 payment in 2019 to make up for 2016, $1,289 in 2020 to make up for 2017 and $1,328 in 2021 to make up for 2018. Alaskans would have to be eligible for both the missed dividend and the year in which it would be paid, so you’ll have to stick around to see the payments (Sorry to everyone who talked about using the supersized dividend to relocate Outside). 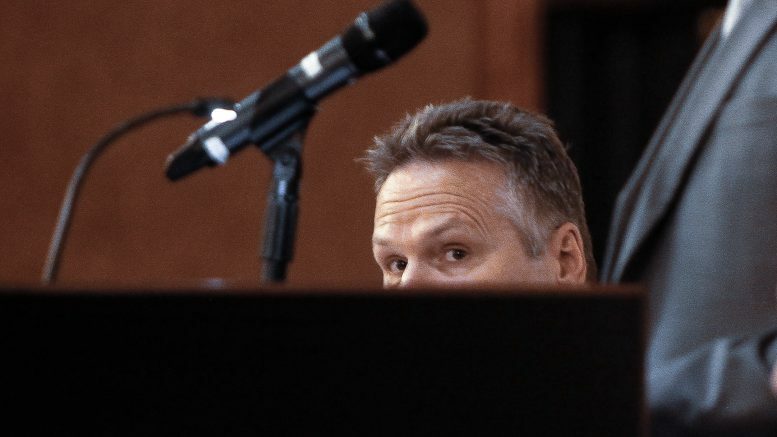 Dunleavy proposes to pay for the additional dividend payments with unstructured draws from the Alaska Permanent Fund’s earnings reserve account, a move that Senate Republicans bristled at on Tuesday when outlining their session priorities. Senate Finance Committee co-chair Sen. Natasha von Imhof, R-Anchorage, defended the Legislature’s work in passing a restructuring of the Alaska Permanent Fund that would make between 5.25 and 5 percent of the fund—known as percent of market value, or POMV—available for some split between government funding, dividends and inflation proofing each year (the Legislature left that precise split up to each future Legislature). Dunleavy has already proposed a split between the POMV draw that would leave $1 billion from the draw available for government while spending $1.9 billion on the 2019 dividend. His budget has a $1.6 billion deficit that’s a combination of the shift and a downward revision of oil revenue expectations. He’s promised to that gap with cuts. The funding for the supplemental payments would amount to roughly an additional $687 million in 2019, $835 million in 2020 and $860 million in 2021. Those numbers assume the number of people receiving dividends remains constant, but with Dunleavy’s requirement for recipients to be eligible for two different dividends—the dividend of the current year and the dividend from three years prior—the total number will certainly be lower (and perhaps that’s part of the thinking, especially with Alaska’s declining population). Still, Dunleavy’s proposal isn’t the only one on the table. Sen. Bill Wielechowski, D-Anchorage, has also proposed a pair of bills aimed at returning unpaid dividends. His proposals—Senate Bill 13 and Senate Bill 17—would deliver all three back payments alongside the 2019 PFD. All four proposals have been referred to the Senate State Affairs Committee and the Senate Finance Committee. Any proposal would, of course, need approval from the Legislature, which currently only has one functioning chamber. Will the true PFD defender please stand up? The relationship between Dunleavy and Wielechowski was a minor storyline during the 2018 elections with an independent expenditure group running ads that made it appear the Anchorage Democrat—who’s made the PFD one of his key issues, going so far as to challenge Gov. Bill Walker’s 2016 veto of the PFD in court—supported the Republican’s bid for governor. Wielechowski sent a cease-and-desist letter over the ads, which was ignored, and Wielechowski went on to pen scathing critiques of Dunleavy’s track record on the PFD. “Although Mike eventually did come around to supporting the PFD, the fact remains that had he stood up in the first place when the PFD was being cut, we wouldn’t be in this situation. In 2016, he and every Republican in the State Senate had a chance to overturn Gov. Walker’s partial veto of the PFD allocation. They all voted no. Be the first to comment on "Gov. Dunleavy’s plan to repay dividends will keep you waiting until 2021"